It’s almost here! This year’s Rhubarb Days features a Vintage Market, pie-eating contest, Bake-Off, music and much more. 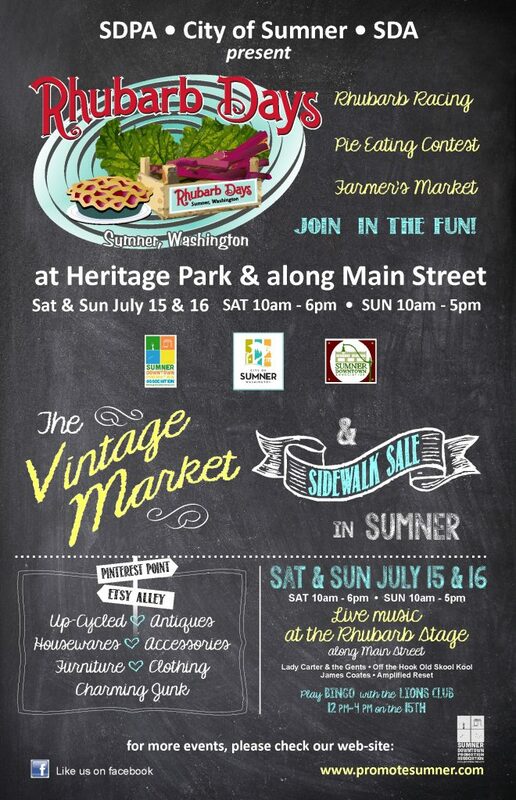 Don’t miss the fun July 15-16 in Downtown Sumner. Click here for a full schedule of events and the Bake-off entry form.